As you probably guessed, resistance is the opposite of support and reveals an area where sellers are entering and dumping supply into the market. This than causes prices to fail from going any higher. Indicates an area that buyers are stepping up in the market to support the price of any Forex instrument. For example, if a Forex pair keeps falling to a certain price and bounces off that figure, it means that there is support at that price. 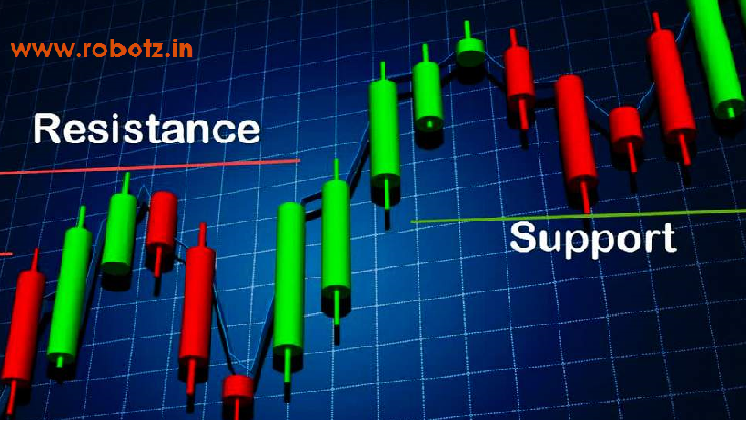 Forex traders use support and resistance as point of reference for potential buy and sell entries. Therefore, if a trader sees that there is support in the AUDUSD at 1.0700, they’ll feel better about buying just above 1.0700, since they know that other traders are buying at that level. 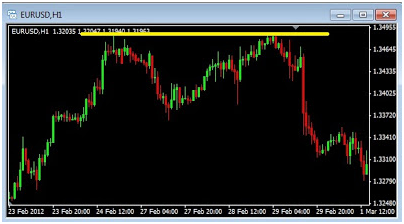 Similarily, if one wanted to short the EURUSD after its big move higher, selling below 1.3500 may be a good move since there has been resistance at that level which was stopping previous moves higher.